Landlords should never underestimate the value of a rental ad when it comes to tenant screening. Not only can a well-crafted ad make it easier to find the right tenant, it can protect cash flow by keeping vacancies to a minimum. Rental ads have evolved significantly since the days where landlords had to pay per word for newspaper classifieds. 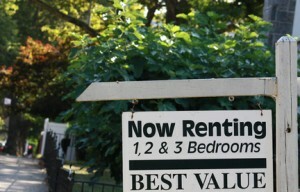 Yet, many landlords still are reluctant to spell out all the pertinent details. Renters like to shop online, or shop on their schedules. Making applicants track you down for basic information not only creates more work — you have to give the same spiel to everyone who calls — but it also discourages good renters from applying. The best rental ads are those that create a vision of what the home has to offer. Tenants need to see themselves in the space. Those are the vacancies that fill the fastest. Becoming bogged down by a long list of prospective applicants is not the best way to find a good renter. If there is enough information in the ad, tenants who know they not be able to meet your qualifications won’t apply. That allows you to put your energy into screening qualified applicants. It is helpful to consider renter demographics and take into account current trends in rental housing so that you are reaching the broadest pool of qualified applicants. However setting your sights on a particular renter group based on immaterial factors like physical characteristics or family status is not the right way to find a good tenant. Rental ads that target a particular group of applicants not only are illegal, but are ineffective. Stereotypes simply do not hold true when it comes to choosing your next tenant, and that works both ways. Your best attempt at finding your perfect renter is just as likely to net the tenant from hell. It’s not possible to identify a good tenant solely by how the person looks or who they live with. The best tenant is the one who is financially responsible, has a decent rental history, and who will care for the rental property. Focusing on an ideal will blind you to all of the good prospects you are turning away. Many landlords find one source for ads, and stick with it, every time. Unfortunately, sticking solely with the tried-and-true means you will never know what you are missing. Renters change habits, and it’s worth a little bit of experimentation to see if other sources may net more qualified rental applicants more quickly. For this to work, you have to think like a renter. Maybe there’s a new app that renters are wild about, or an online classified service that is offering incentives to tenants. One of the best way to discover other available sources for advertising is to search online for apartment listings in your area. From time to time, check in with other landlords to see what methods of advertising are working for them. Maybe you already are doing the best you can do. But then again, you’ll never know for certain unless you explore the alternatives. If you are not asking your prospective tenants how they found you, then you’re throwing money into the wind. What if your last applicant was a referral from a previous tenant, and you didn’t thank the person? What if you are spending money to advertise, but your for-rent sign is driving most of your applications? Not only is it important to your bottom line to know where your marketing dollars are best spent, but you also need to know which method is the most effective in attracting good tenants. Look at the numbers — volume versus qualified applicants, and days needed to fill a vacancy — to determine if you are streamlining your leasing process, or making your job more difficult.